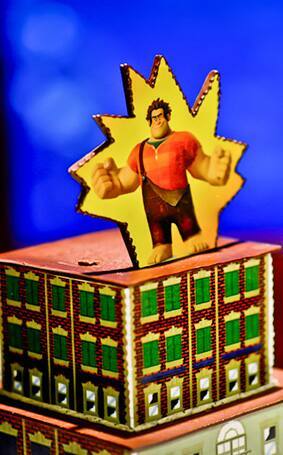 A surprise Wreck-It Ralph groom's cake? Now that's love! 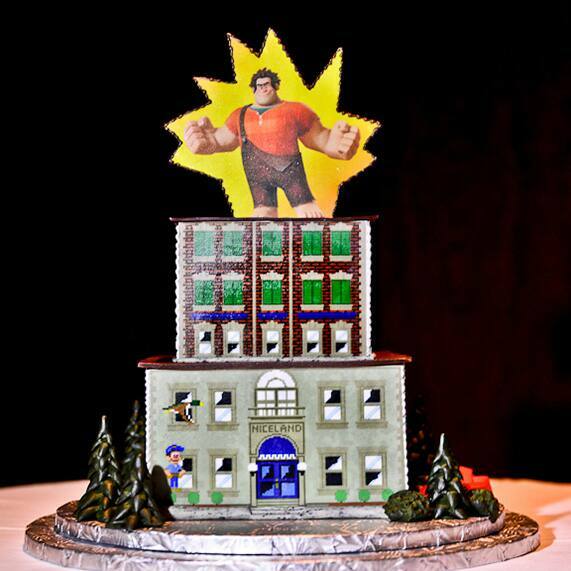 This two tier square cake is modeled after the building Ralph worked on in the film- but don't worry, I promise none of it is comprised of concrete! 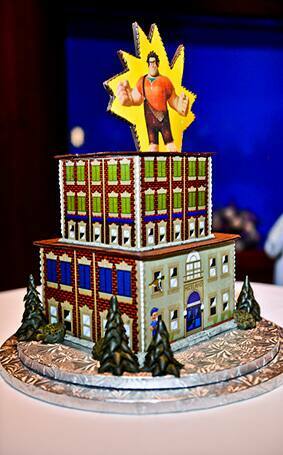 In fact, it looks so delicious the couple may have to enlist "Fix-It Felix" to help them finish the job.